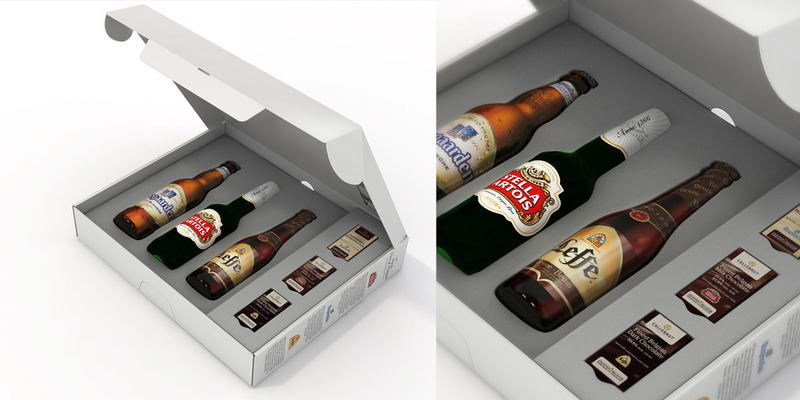 BridgerConway teamed up with the ABI International to develop gift pack concept proposals for their classic brands Stella, Leffe and Hoegaarden. The main goal was to create a Premium packaging that would be displayed in areas of high-value image and brand, such as spirits and liquor stands in airports. It was a great challenge putting together two different categories such as chocolate and beer under one clear and powerful approach. 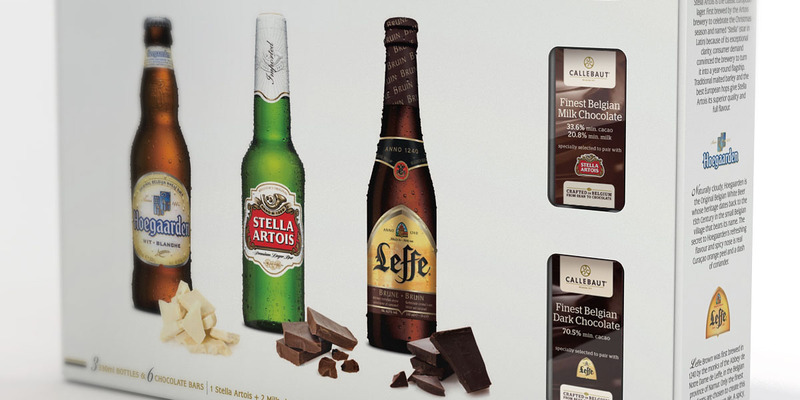 The selected concept was “the best of Belgium” and the winner proposal was pairing up with other local products. This led to the alliance with Callebaut chocolates. The industrial and graphic proposal was based on the elegant simplicity of the gift pack shapes and colors, with the added value of practicality for its highly portable feature.